This Siwertell shp unloader is designed with a unique extra feature allowing for a side-tilting motion of the unloader’s slewing function. This feature offers an extended reach underneath hatch coaming and into the corners of the ship’s cargo hold, which enables an excellent ”layer by layer” method in discharging the cement, avoiding avalanches and thereby minimising dust emissions from the hold. 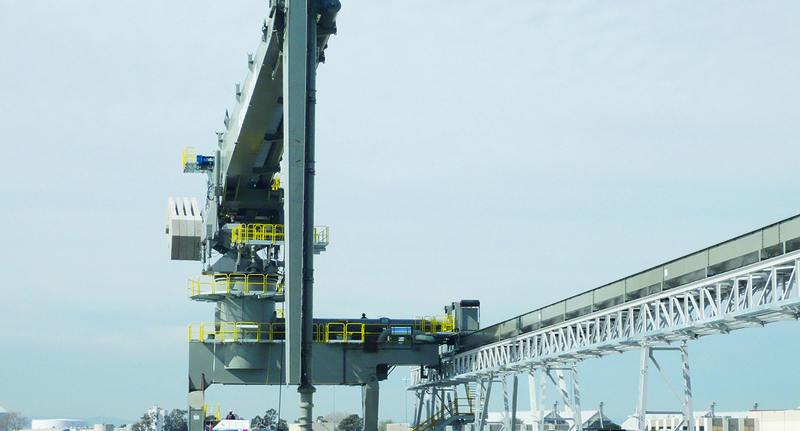 Siwertell also supplied a movable transfer trolley and two horizontal screw conveyor for conveying of the cement from the ship unloader to the silo area, as well as four screw conveyors for handling the cement in the terminal. 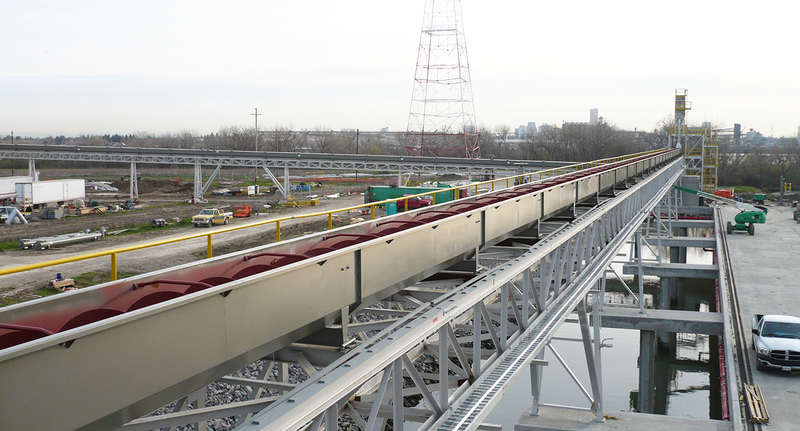 The jetty screw conveyor is covered with a cover belt. 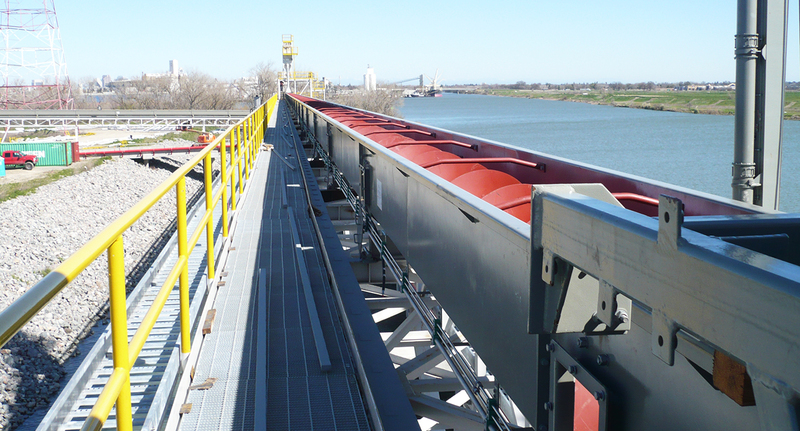 The main parts of the ship unloader were pre-assembled in the port of Richmond, shipped on a barge to Sacramento in order for a quick final assembly to take place on site.